I have been waiting for this opportunity for so long! I have been gifted a designer home accent piece to store my eyewear. I cannot tell you how many times I have left my home without my eyeglasses or sunglasses. I decided upon OYOBox mini eye wear organizer. This is perfect for me because it holds up to 4-6 pairs of eyewear. This is personally my favorite accent piece displayed before I leave my home. It holds my "DO NOT LEAVE WITHOUT" items. Have you not been introduced to OYOBox? See below, I will introduce you to this special brand. 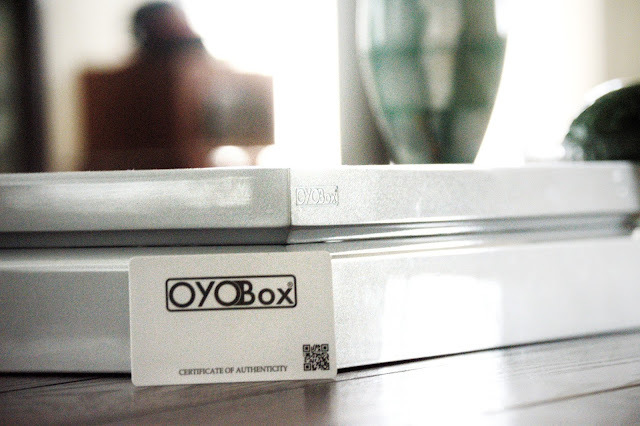 OYOBox strives to organize YOUR life. Say goodbye to placing your precious and delicate eyewear just anywhere. PLEASE NOTE THE BELOW QUOTE FROM THE SITE. 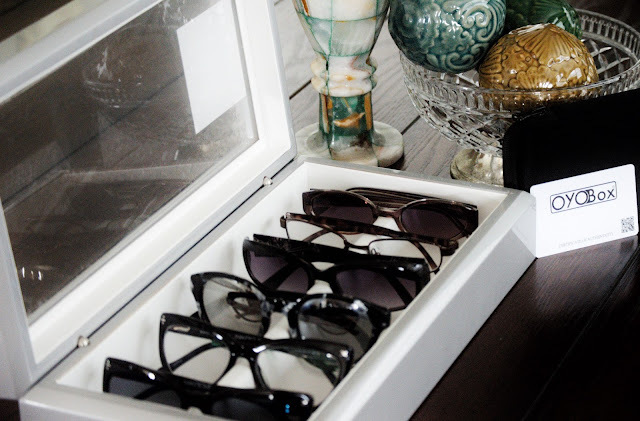 "Studies show that most people own multiple pairs of eye wear and spend valuable time every day searching for the right pair since most are kept in travel cases in dark places. 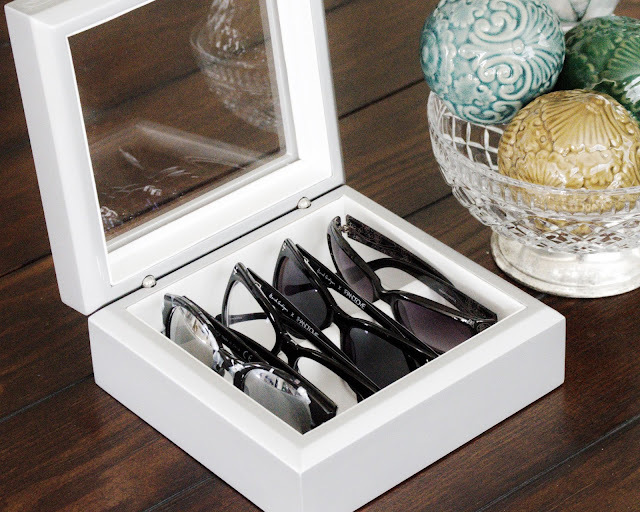 To bring your eye wear collection into the light, we created the OYOBox eye wear organizer. At OYOBox we believe that if you love your glasses you should be able to see and enjoy them on a daily basis." The Metallic Silver OYOBox you see above is linked here! This size is perfect for me as I only need have 3-4 pairs to store. Lets start talking about this free gift! Mother's Day is around the corner, enter, and start picking out a card for her! Details to enter are below! 3. Simply state in the comment box why you would love to own your very own OYOBox.